Iqbal Athas (born c. 1944) is a Sri Lankan journalist. He is a defence columnist for the Sunday Times, and he also contributes to Jane's Defence Weekly, CNN, and the Times of London. He was threatened for his investigative reporting which uncovered scandals in the purchase of the arms by Sri Lankan Defence personnel, particularly the Sri Lankan Airforce. He has won several international journalism awards for his work, and in 2000, the New York Times described him as "the country's leading military correspondent." ^ a b c Celia W. Dugger (11 May 2000). "Joining Sri Lanka's Sword: Might of Censor's Pen". The New York Times. Archived from the original on 24 August 2012. Retrieved 24 August 2012. ^ a b "Sri Lankan journalist, still in jeopardy, says government never offered protection". The Committee to Protect Journalists. 31 August 2007. Archived from the original on 20 August 2012. Retrieved 19 August 2012. ^ "Sri Lanka journalist threatened". BBC News. 18 February 1998. [dead link] ^ " Iqbal Athas threatened to be killed at Wijaya Newspapers". Lanka enews. 28 August 2007. Archived from the original on 6 February 2012. Retrieved 19 August 2012. ^ Raymond Bonner (23 August 2012). "Tamil Guerrillas in Sri Lanka: Deadly and Armed to the Teeth". The New York Times. Archived from the original on 24 August 2012. Retrieved 24 August 2012. ^ a b Celia W. Dugger (8 February 2002). "Sentence For Threat To Newsman". The New York Times. Archived from the original on 24 August 2012. Retrieved 24 August 2012. ^ a b c d "Life of Journalist Iqbal Athas in Danger After His Revelations About Purchase of Ukrainian MIGs". Reporters Without Borders. 29 August 2007. Archived from the original on 24 August 2012. Retrieved 24 August 2012. 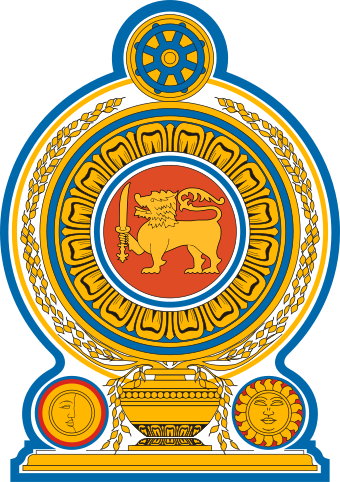 ^ "Sri Lankan air force officers jailed". BBC News. 7 February 2002. Retrieved 19 August 2012. ^ "CPJ alarmed by Sri Lankan president's comments against senior journalist". The Committee to Protect Journalists. 3 August 2005. Archived from the original on 24 August 2012. Retrieved 24 August 2012. ^ a b "Concern over journalist's safety". The Hindu. 30 August 2007. Archived from the original on 24 August 2012. Retrieved 24 August 2012. ^ a b c "'Restore' Iqbal Athas' security". BBC News. 28 August 2007. Archived from the original on 21 January 2016. Retrieved 24 August 2012. ^ Iqbal Athas (19 August 2007). "MiG deal: More twists, turns and threats". The Sunday Times. Archived from the original on 20 August 2012. Retrieved 19 August 2012. ^ "Journalists Receive 1996 Press Freedom Awards". Committee to Protect Journalists. Archived from the original on 11 August 2012. Retrieved 11 August 2012. ^ "Athas wins prestigious award". The Sunday Times. 19 August 2007. Archived from the original on 24 August 2012. Retrieved 24 August 2012.